We have not had an event for quite some time now and as many of you do not live locally I thought I would give you an quick update on what’s been happening. In short, not a lot. 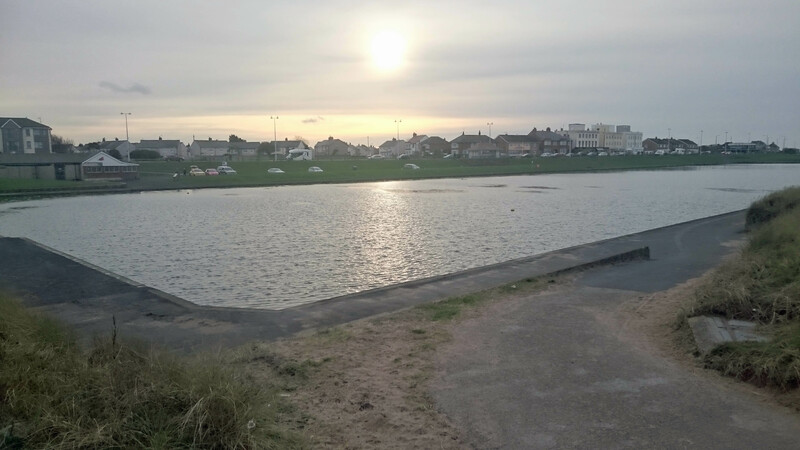 The council has not removed the weed that has been plaguing us and, in fact, since the lake was emptied, we have been able to see just how extensive the problem is. Very! It must now cover 30 to 40% of the lake. The council needs permission from the Environment Agency to remove and dump the weed but it does not have the time, or the funding, to do so now. They have to have the Marine Lake filled by mid-January for the Nautical College and so they have already started to refill the lakes. On Xmas Eve they were actually pumping water into ‘our’ lake and I did expect it to now be full. Alas, it isn’t and it must be at least a foot below an acceptable level for sailing. If anyone is interested there is a Laser/Dragon event at Southport on Sunday 3rd Jan.
Well, I wish you all a Happy New Year and I hope we shall be able to restart sailing ASAP.